So you're ready for a change in your finances, but how do you know where to start? Are you swamped when it comes to bills and your finances? Maybe you’re sick of living paycheck to paycheck and you aren’t quite sure what to do next. In fact, maybe you’ve tried budgeting before but you just couldn’t seem to stick to the budget you set. And don’t forget about the mountain of debt you have pushed to the back of your closet. If this is you, I can relate! I have totally been there before! When I first started budgeting, I felt everything you are feeling now. But my biggest feeling was fear. I was afraid that I wouldn’t be able to provide for my family. I was afraid that I would forever be waiting for payday. And my biggest fear was that I was setting up my children to be in the same situation I was in. So I scoured the internet and started budgeting like crazy. I read every book and learned every budgeting trick. From that process, I grew to love budgeting. I found that budgeting is possible and although things won’t always go as planned, I could (and did!) change our family’s future. Fast forward 7 years and here I am now! I have learned that my passion for budgeting and saving money runs in my blood and I’m here to share that with you! My ultimate goal is to help you lay a strong financial foundation so you can stay on track with your finances and work toward reaching financial freedom! Not only will you have access to the step-by-step lessons that will guide you on your financial journey, but you'll also have access to a community! You'll be invited to join the private Budget Better Than Ever Facebook group where you will get answers to your questions. This will help you stay accountable and on track with your budget! 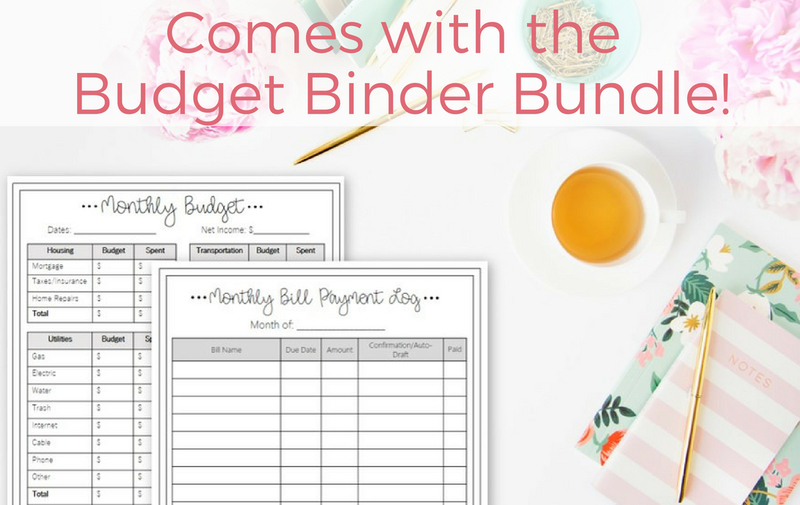 The Budget Better Than Ever Course also comes with my Budget Binder Bundle! This 14 page printable set will help you stay organized with your finances for good! Everything will have it's place and you can print it off as many times as you'd like! I have no doubt that this course will help you learn how to budget, save money, get your finances organized, and pay off debt. I know this because these are the exact steps that our family has used the past 7 years to do exactly this! These are also the exact steps that I use with my clients to help them gain back the control that they need! So if you're on the fence when it comes to buying this program, just know that I will give you a 100% refund within 30 days of the sale if you have fully completed the course. That's how much I believe in this program! You get lifetime access to the course! That's right! So if you need more motivation in 6 months, come back and do it again! Yes! I want to take my finances to the next level! When I first found Allison's @inspiredbudget Instagram account, I was BLOWN AWAY by all her tips and guidance. At the time I was struggling to get by because I thought I had no money. I was over-drafting my bank account, picking which bill was going to be late that month, and really felt completely defeated. Then I signed up for her Budget Better Than Ever Course which is absolutely incredible! It's worth at least 5x the cost (so grateful it's so affordable!) because it truly details how to budget, save, and pay off debt for ANY situation. This isn't just a quick budgeting list - this is a hands-on, how to change your freaking life kind of course! Since implementing what Allison teaches I've been able to pay off a personal loan 30 months early, save a $1,000 emergency fund, AND I have not over drafted ONCE!! I have $23,000 in debt left but I KNOW that with Allison's help in this course and the private Facebook group she has I'm going to be able to get out of debt YEARS ahead of schedule.